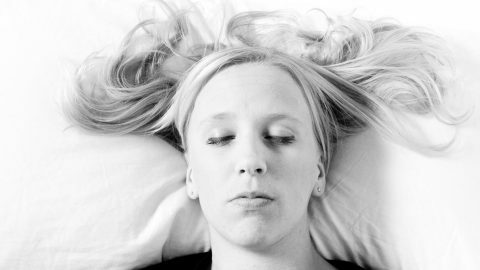 Sleeping with your arm under your head or body can result in numbness and tingling. It’s common for people to wake up with numbness and tingling in their arm or hands. This is often due to sleeping with an arm beneath your body or head. When there is enough weight on your arm, it can compress nerves which results in numbness or tingling. This is often referred to having one’s arm “fall asleep”. 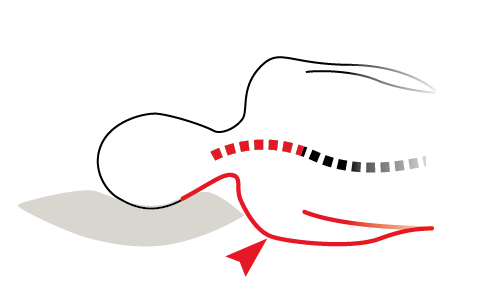 Arm numbness is most common in side sleepers, as this position results in you lying on one arm. The median nerve, which runs the length of your arm, is compressed. Excessive compression can result in numbness. If you’re sleeping on your side, and waking up with a numb arm, there are things you can do to help avoid the problem. How can I avoid waking pp with my arm numb? The wrong pillow can exacerbate nerve problems in your arm. Be aware of your sleeping position. Are your head and neck being supported properly? Many people do not know that their pillow can have a significant impact on nerve compression in your arms. If your pillow is not supporting your head properly, nerve compression problems can become worse. Try using a pillow that is firm and thick enough to support your head and neck. The firmness of your mattress also is a factor in your sleeping position and comfort. Since your body does not sink far into a firm mattress, your head is naturally higher off the surface of the bed, usually necessitating a firmer, thicker pillow. It makes sense to start experimenting with your pillow first, rather than to go out and buy an expensive new mattress. 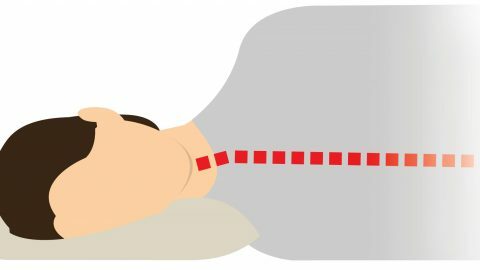 Eliminating your arm numbness and tingling might be as simple as changing to a different pillow type, like a buckwheat pillow. What Should I Do When I Wake up with My Arm Numb? Generally if you roll over to relieve the pressure, the numbness and tingling will quickly subside. Moving your hands and arm can help restore feeling in your arm after waking up. Experimenting with different pillows, mattresses and different sleeping positions can help you find relief. If you experience extreme numbness or pain, or numbness not related to sleeping on your arm, you should speak with your doctor to make sure it is not something more serious. Give Hullo buckwheat pillow a try for 60 nights. If you aren't sleeping better, send it back for a refund. 25 Responses to Why is My Arm Numb When I Wake Up? I get this all the time, usually just numbness and usually in my ring finger and little finger, but last night I woke up and i couldn’t move my little finger. The feeling and movement came back pretty quickly but I dont want to get long term nerve damage. I used to have a cast that i would put around my arm to stop this happening but I can’t find it. What are some sleeping positions to stop this? I used to get numbness in the same two fingers. It’s usually from sleeping on your side. 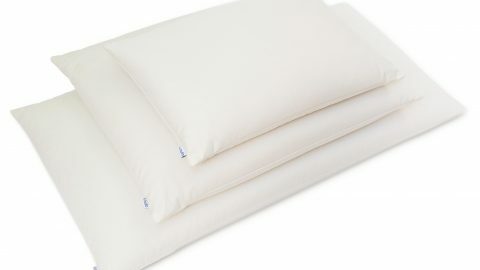 For me, a thicker and firmer pillow almost completely eliminated the numbness. You could try sleeping on your back, or try a new pillow. I have tried all these but still my arm is going asleep. It also happens during the day. I have tried all these but still my arm is going asleep. When i do wake up any ways to get my arm back to normal. It also happens during the day. I have had Carl up tunnel Sun from sense 2003.I was in a wreck in 2008.I found out I had three disc in my back that were damaged.I can’t remember the term that it was called.But if I sleep on my stomach,flat,and have my arms above my head over shoulder length,I wake up,and they are completely limp and dead.I can’t move them unless I move my body around and then they just sway.I already have alot of physical issues.I haven’t told my doctor about this because I’m already going to him for other issues.And above all,my back hurts all the time.Especially at night.And legs have beginning to go weak on me.My whole entire body is in pain 99%of the time.But I’m wondering if my arm problem could be coming from my back injuries.If anyone has any opinions,would reqlly be nice.Thank you. You responded to a website about people saying their arms were going numb when they wake in the morning. You said you took something called “old script “and you’ve had 100% improvement. Is that a typo or is there really something called old script? What are you actually taking that solved the problem 100%? How is your problem now madam???? Is the numbness still there??? At times now fourth time I have experienced blood flowing in my fingers starting from the small finger. Aman, I’m sorry to hear about your problem. Unfortunately only a doctor can give you definitive answers to your questions. Good luck. holy cow! in all four arms? i only have it in one arm. I too woke up from sleep with pain in my left arm. Also left arm completely numb. And blood on my thumb as if badly injured. So many people experiencing this but no one has responded with any actual diagnosis as to what the primary cause is. My issue is both arms but predominantly my right arm. It happens all throughout the night for me and my arm and hand is not only numb but very painful. I sleep only on my back. I have a large wedge shaped pillow as my base and then another traditional pillow to cradle my neck therefore I cannot turn onto my sides. I started using the wedge pillow because of pain in my neck from arthritis. My neck pain has greatly improved. My arm will also go numb when I am awake and moving around. Happens a lot when I’m driving. I’ve made an appointment with my G.P. I will report back with any diagnosis that I receive. My hunch is that I might have carpal tunnel syndrome. I am a bank teller for the past 30+ years so all day long counting money and using a keyboard. Someone please help me. I got up one morning about two weeks ago, my whole right side was numb. In the palm of my hand and my right big toe the most. I have been squeezing it but nothing making the feeling come back. I have to squeeze really hard to get any sinsation. Please help me because I should have gotten my feeling back by now. Instead it is getting more annoying. When I use this hand over and over like when I am at work, my hand starts to burn and feeling heavy. I sleep on my right side and wake up often with my entire right arm and hand asleep. I also notice a long line of what looks like broken blood vessels done my entire arm. It leaves no feeling of pain but takes a week or so to go away. Am I really causing that much distress to my arm while sleeping? Anyone else have this happening? My Right Arm Is Throbbing Right Now And I Tried The Ice Pack 10 To 15 Minutes But It Didn’t Work. Can Someone Explain To Me What This Is Called. It’s Really Serious. I often find myself sleeping on my stomach and recently when I wake up my entire right arm is completely numb. I’m talking can’t feel or move it at all. I can pick it up with my left arm and its just like dead weight… it’s honestly kind of freaky. I just have to give it a minute to get the blood flow going and keep trying to move my fingers and it will usually go away. I am 13 years old and I’m a verry odd sleeper. Every morning I will wake up tired and my arms and sometimes legs will be a numb sore feeling. It’s very hard to describe. It goes away about 10-15 minutes after I wake up but I will be tired all day. I get about 9+ hours of sleep and I’m always tired. What can I do to fix all of my problems?